"Paul isn't a traditional conservative. His obsession with long-decided monetary policy and isolationism are not his only half-baked crusades. Paul's newsletters of the '80s and '90s were filled with anti-Semitic and racist rants, proving his slumming in the ugliest corners of conspiracyland today is no mistake." As conservatives, MC isn't willing to cede the ground to this sort of nonsense. We have no litmus test for who is a conservative; by the same token, we have no reticence in calling out a cult. Click on the title of this post to read an excellent article in Reason magazine about the Ron Paul delusion. Click on the image above to enlarge it. "Conceived as a way to unite Europe, the euro increasingly divides. No one wants Greece to default, but no one wants to pay the price of prevention. With its own currency . . . Greece would pursue depreciation to spur exports and economic revival. 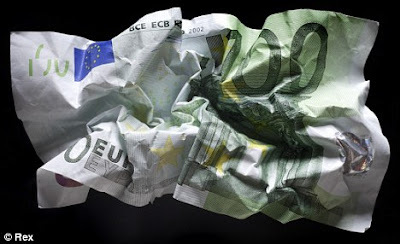 If other countries dump the euro, currency wars could ensue. The threat to the euro bloc ultimately stems from an overcommitted welfare state. Greece's situation is so difficult because a low birth rate and rapidly graying population automatically increase old-age assistance even as the government tries to cut its spending. At issue is the viability of its present welfare state. Almost every advanced country -- the United States, Britain, Germany, Italy, France, Japan, Belgium and others -- faces some combination of huge budget deficits, high debts, aging populations and political paralysis. It's an unstable mix. Present deficits may aid economic recovery, but the persistence of those deficits threatens long-term prosperity. The same unpleasant choices confronting Greece await most wealthy nations, even if they pretend otherwise." 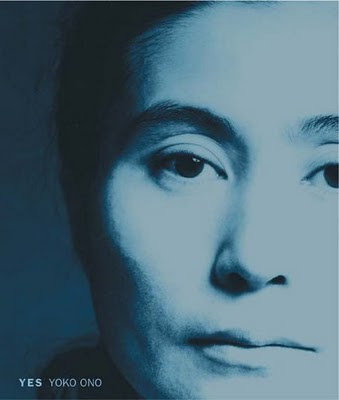 MC sends Yoko Ono birthday greetings; no other woman in the modern age has been as ignorantly and viciously vilified as she. At the risk of alienating our readers, most probably have very little understanding of her life and work. ("Now you'll always be Mrs. Lennon," quipped John upon their marriage; how right he was.) Click on the title of this post to read an overview of her life and work; we're certain you'll be surprised and in a good way. Last year Ono released an album to nation and worldwide acclaim. Yes, we know, MC's readers weren't paying attention but we were so you didn't have to. She was 76 and, as it were, still kicking. Two nights ago her reconstituted "Plastic Ono Band" gave a bravura performance at the Brooklyn Academy of Music. The reviews were superlative; read them here. A brilliant ad from the NRSC. 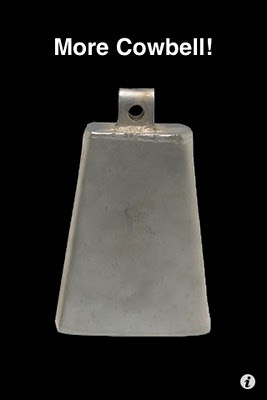 Team Obama Goes For More "More Cowbell"
"What is wrong with the Obama presidency is not a botched communication strategy (although the president himself has become a bore and whines too much). 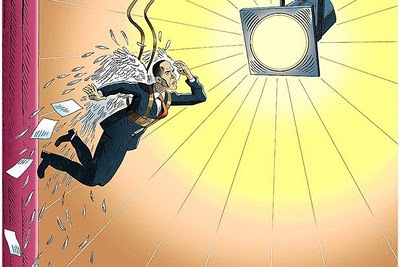 The core problems are Obama’s insistence on a radical domestic agenda, pursuit of dangerous and unpopular national-security policies, and the absence of a chief executive who is practiced and skilled in governance. And, honestly, acting more like a candidate and less like the president isn’t going to help matters." Just two posts down below MC speculated the Germans would help Greece out of its current financial crisis. Turns out Dem Deutsche Volk are tired of being treated as Europe's ATM machine and are saying no to bailing out the feckless and reckless Greeks. Can anyone really blame them? Wasn't paying for all of Ireland's roads enough? Leave it to a French banker to suggest the end is nigh for the euro. Click on the title of this post to read the story in the Daily Mail (UK), a downmarket paper to which we find ourselves chagrined to link. But there you have it. Whatever happens to the euro, and we wish it ill, MC hopes George Soros makes not a penny, as it were, on it. And yes, we know, we could have blogged about Evan Bayh but MC enjoys counter-programming. 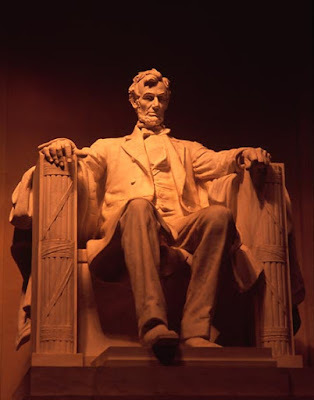 MC wishes to remember the best president in the history of our Republic. This ridiculous pamphlet, by way of France naturally, has gotten too much attention, thereby forcing MC to give it more in the hopes that it will then get less. What is it? 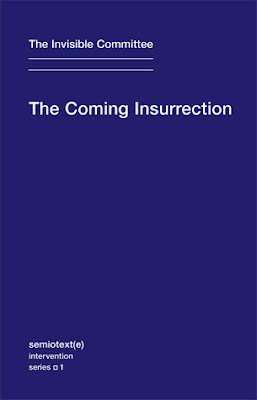 It's a bunch of blather--think Ron Paul cultists meet slacker anarchists--about how, well, the insurrection is coming! MC has scanned the horizon for signs of said event and finds little evidence of its approach. 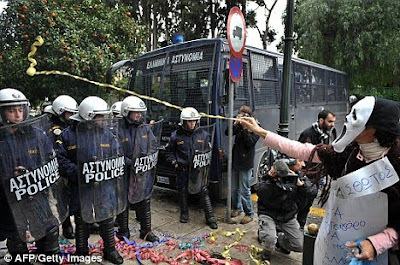 Greece is on the edge of insolvency (trust the Germans to bail them out) but that's about as desperate as it gets. The language and approach contained in this pamphlet is embarrassing in the extreme. (The Left never could write!) That some with a loud megaphone (read Glenn Beck) are making much of it does not mean there is much to be made about it. MC is glad that Beck has good ratings even though we'd be dead before found at a "Bold Fresh" tour with Bill O'Reilly. Click on the title of this post to read the pamphlet in English for free. Then throw it, metaphorically, onto the ash heap of history with its mind-numbing predecessors. Two articles appeared today that only the inside types really know about and one of which is carefully NOT being passed along or a link to it included in online coverage. This is emblematic of a new development in online journalism: what the talking heads on TV read and the apparatchiks in both parties know about but which is not passed on for anything like widespread distribution. 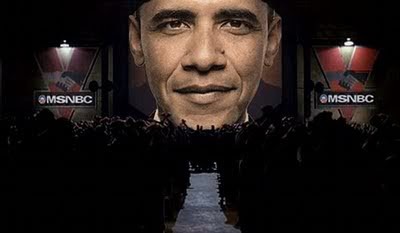 Don't get MC wrong: we haven't become paranoid, delusional Ron Paulers. We simply note that it took some digging to bring you these two articles. But what, after all, is MC here for but to dig with the occasional backfill? Click on the title of this post to read the first article, Edward Luce writing in the Financial Times about the core group of people surrounding President Obama. It makes for less than edifying reading. Why is it Americans increasingly must turn to British and German newspapers to learn about what's really going on in their country? Click HERE to read The Washington Note's article on the Luce article. Really, read both for maximum effect and understanding. Together they provide fascinating insights into our government, the fourth estate and the people in both. Don't say MC didn't warn you. 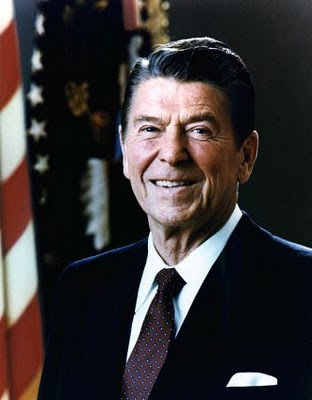 Ronald Reagan was born 99 years ago today. Happy Birthday and our best wishes to Nancy. The bravest man on the planet is on trial for speaking his mind. Will the last decent person leaving Europe please turn off the lights? 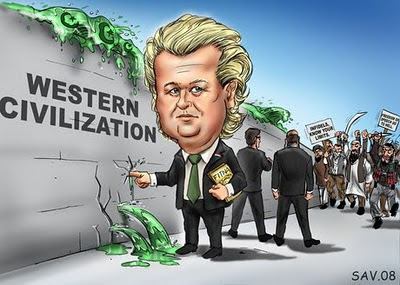 One doesn't have to agree with Wilders (although MC manifestly does) in order to defend him. Where oh where are our liberal friends? Islamo-fascists will kill you as quickly as they kill us. Religion of peace and all that, yes? Click on the title of this post to read the excellent Bruce Bawer on the threat whose name dare not speak it's name in the Obama administration. We Were Afraid It Looked Just Like This! Fouad Ajami is rather merciless in his assessment of the current state of Obamaism. But he is, after all, just telling the truth. Click on the title of this post to read his take on reality and the Obami. MC notes, and not in passing, that approximately half of the country did not fall for what has turned out to be a fraud. We expect that will be a clear majority come the off-year elections this fall.